Popcorn, I love the stuff, so when I finally managed to get hold of the new Chocolate Propercorn I was pretty excited about it. 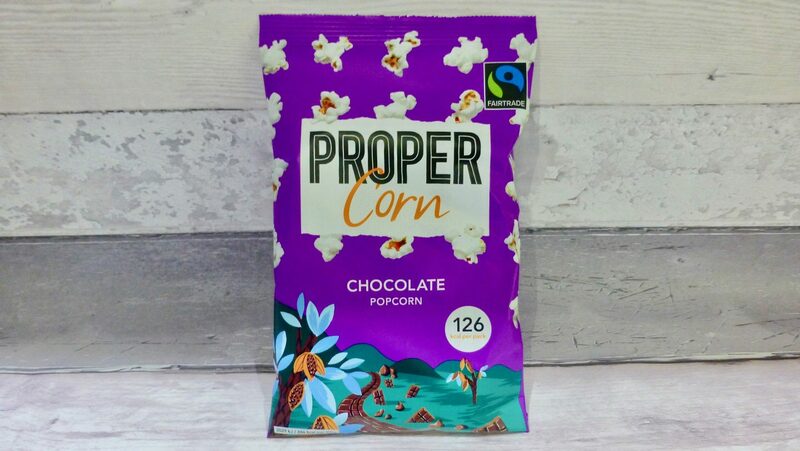 Propercorn have been pretty solid when it comes to their flavour, quality and tastiness so the hopes are high for their new Chocolate popcorn. 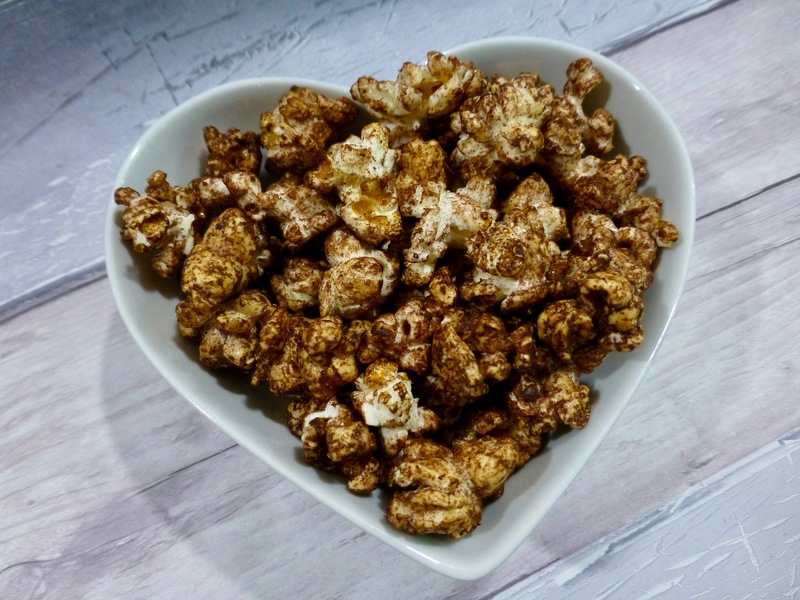 Nailing a chocolate popcorn that meets what us chocoholics want is not an easy thing and apparently it has taken Propercorn years to do just that. If you are wondering why you haven’t come across this yet it turns out Chocolate Propercorn is currently only in Waitrose and on Ocado. I got mine on the latter where they do both 80g and 100g bags for 80p and £1.59. Upon first whiff it smelt of rich cocoa and from looks alone the popped kernels were covered in the stuff. It quickly became apparent that eating this is a messy situation, but one that is well worth it! At first I was not sure on the cocoa but it instantly became addictive. There was a slight sweetness that offset the rich bitter cocoa, I am so glad they did not go for a fake sweet chocolate and stuck to how chocolate should be. It is safe to say that this Chocolate Propercorn Popcorn is DELICIOUS. For me they have absolutely nailed it and I am 100% going to have to stock on this asap. Alongside their Sweet & Salty I actually think that this maybe my new favourite flavour. An absolute must try! Have you tried this new popcorn yet? What is your favourite Propercorn flavour?